Autumn is a time of harvest and celebration of wine. The lovers of this drink made from grapes at this time, and set off eagerly await discovery. It was in the fall can combine the pleasure of drinking good wine in tasting unique travel experiences. Therefore, we have prepared a list of the seven most exciting wine regions to visit. The Mikulov wine region is among one of the oldest in Europe. Grapes are grown here since the time of the Celts. This southernmost wine region famous Riesling varieties including Palava and Aurelia, which have been met. In southern Moravia, do not miss the view of the vineyards themselves, conservation area wineries and cellar lanes, as well as various wine exhibitions, exhibitions and fairs. If you appreciate a healthy lifestyle, you will appreciate the possibility of combining wine tasting with the beautiful countryside. This territory is undergoing some wine nature trails. Sun-drenched flat landscape is also ideal for tourist trips. Do not forget to visit the castle Mikulov, Lednice and Valtice. The autumn also includes vintage, the year-long effort culminates winemakers harvest crops. Among the most famous and most visited include Pálavské and Znojmo or Valtické that broke out in early October. Tokay area lying to the north-east and south-east Hungary, Slovakia is world famous thanks to quality wine. Hungary is famous for its Eger "bull's blood" and Tokay wine that has become legendary elixir acclaimed Russian Tsars, the British rulers and the Austrian empress. The region can also take a tour of baroque pearls Hungary - Eger, situated in the picturesque landscape of the mountains, beech, or visit the nearby Budapest. Lovers of the thermal baths in Hungary come into their own. They can use a range of wellness programs in local thermal baths, which have a beneficial effect on human health. "When you are going on a trip to the famous wine region of Tokaj, then it ideal schedule for October. And do not miss the festivities here Tokaj wine. Local winemakers will be presenting the highest quality wines. You will enjoy the unique taste and soak up the atmosphere, "said Michal Tuma, marketing director of travel agency Invia, a leader of the Czech market for sale online tours. Slovak wine production is concentrated in a few wine regions, of which the largest is the Small Carpathian. Malokarpatské Vinohrady area, the first vines were planted by the Celts, spread out on the slopes of the Small Carpathians from Bratislava to top Oresany. In this important wine region are grown white grape varieties Riesling, Riesling, Grüner Veltliner and White Burgundy. As for the red varieties, it is especially Lemberger and St. Laurent. Range of complementary Müller-Thurgau, Sylvaner, Girls grapes or Chardonnay. A visit to the winery is a gem Slovak possible with a visit to one of the youngest capitals of the world, Bratislava, which is nearby. Also worth a visit landmark of the city, Bratislava Castle, towering above the old town, the Gothic cathedral known as the Cathedral of St. Martin, Primate's Palace and the historical building of the Slovak National Theatre. The most famous wine regions in France, Burgundy, which is located in the eastern part of the country. This area was once the ocean. When the waters receded, tamějšímu gave the region a fertile ground life and to bring about the wines of depth and complexity. The soil subgrade clays are only grown in Burgundy Pinot Noir or Chardonnay, giving a very dry white wine with strong acids. Burgundy winemakers are known for their "joie de vivre" - a sense of joy and hospitality with which they welcome all visitors. Third weekend in January is traditionally an important date for lovers of Burgundy wines, who come to the legendary Viniční mountains that lived there three days tasting a gastronomic marathon called La Fête de la Saint Vincent Tournante, a festival of St. Vincent. region world-famous vineyards can be recognized from the deck of the ship. Dont miss out on an adventurous voyage on the canal in Burgundy. Wine Country or Enotria, just as the ancient Etruscans called Tuscany. The most famous wine region of Tuscany's Chianti, situated between Florence and Siena. Although the producers of Tuscan wines dominated by small family businesses, quality ranks the leading place in the world. The Italian region is home to some of the most recognizable and most powerful wines, which include Chianti Classico, Brunello, Carmignani a red blend known as super-Tuscan wines. Lovers of culture inspires tour the nearby treasury of the Italian Renaissance, Florence. Can not forget one of the most perfect medieval towns in Europe Siena, which captivates the tourists a large square in the shape of a fan or a breathtaking brick palace, stone towers and churches. Those who want to experience life in Tuscany on your own, in the autumn can spend half a day on the Tuscan vineyards and actively participate in the harvest. The most famous wine region in Catalonia's Penedès region. You can find it in the northeast of Spain in the province of Barcelona, ​​where the river Ebro flows into the Mediterranean Sea. In this area, dominated by mild Mediterranean climate that brings warm, humid summers and cold winters. 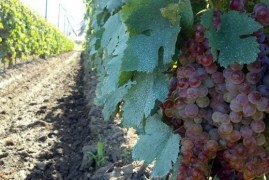 General preponderance of grapes used for white wines Macabeo, and Parellada Xarello, among others include Chardonnay, Riesling and Gewürztraminer. For red wines are grown Garnacha, Merlot, Tempranillo, Pinot Noir and Cabernet Sauvignon. If you get tired of tourists already tasted all the varieties the winery can admire the unusual architecture in Barcelona. The city is most people associate with buildings of the famous architect Antonio Gaudi. The Wachau region is even a UNESCO World Heritage Site. It attracts tourists for its lively history of the region along the Danube, but also an excellent white wine, whose main representatives are Grüner Veltliner and Riesling. In this impressive landscape through one picturesque wine village after another. There are a variety of fortified churches, Renaissance mansions, but also a replica of the Venus of Willendorf, a fertility goddess statues that were found here. Discover the beauty of Melk, the embodiment of classical Baroque architecture, which is the largest Benedictine monastery in Europe. The wine town of Retz again offers the opportunity to visit the oldest wine cellar in Central Europe. "Town Retz located next to the Czech border, and Czech tourists here can comfortably visit the traditional celebration of wine. The ceremony takes place on the square, which is known as one of the largest and most beautiful square in Austria. Participants celebrations here may even pick up wine directly from the fountain, "said Michal Tuma of travel agencies, Invite, where tourists can choose from a wide variety of trips not only in European vineyards.